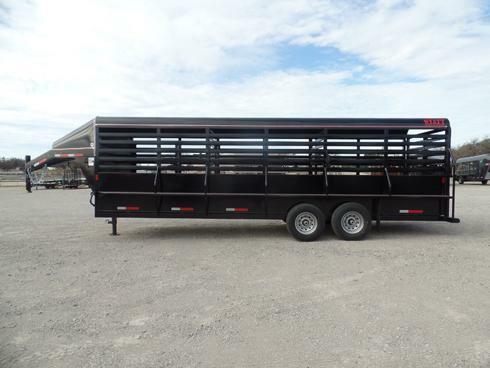 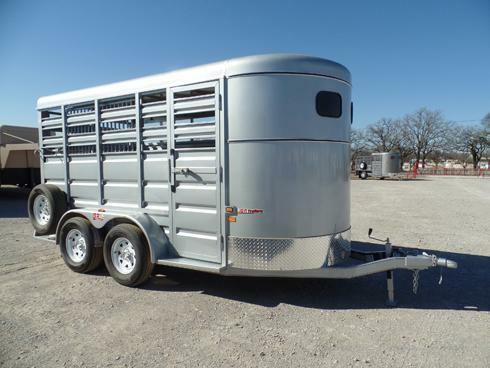 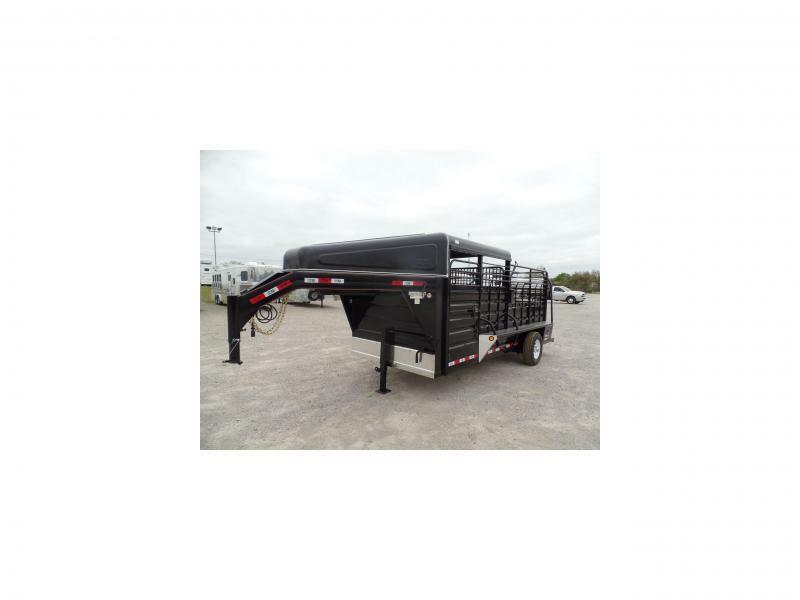 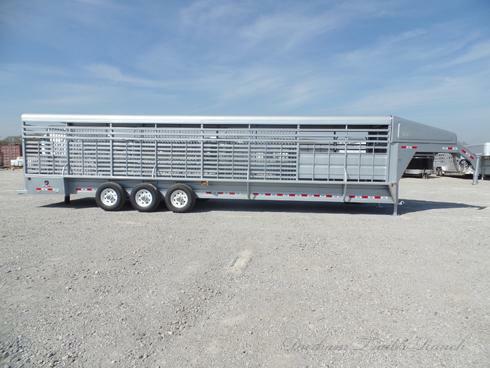 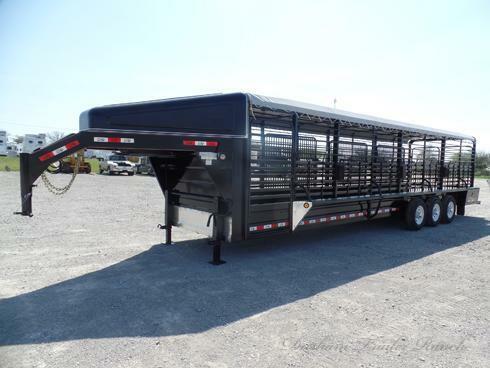 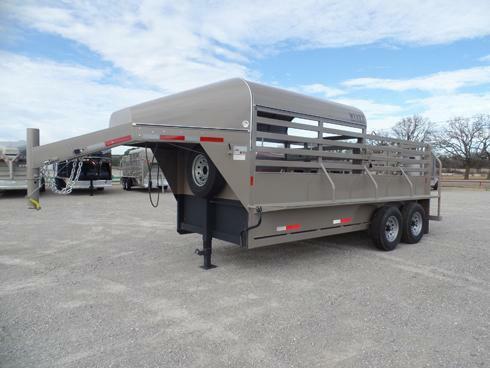 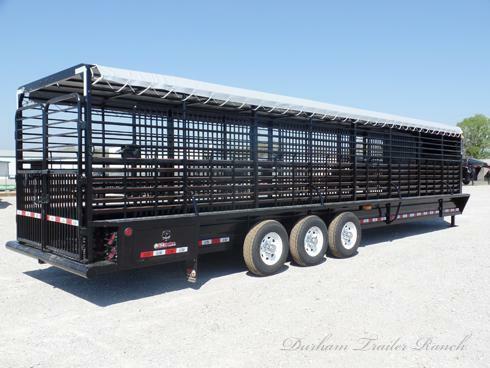 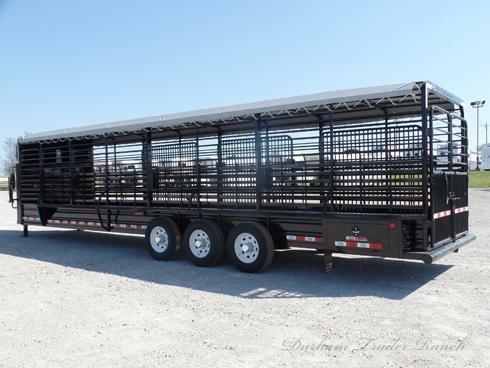 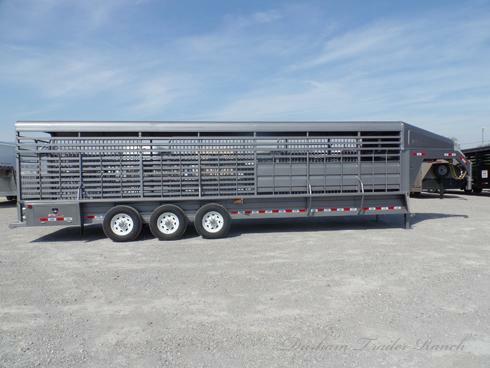 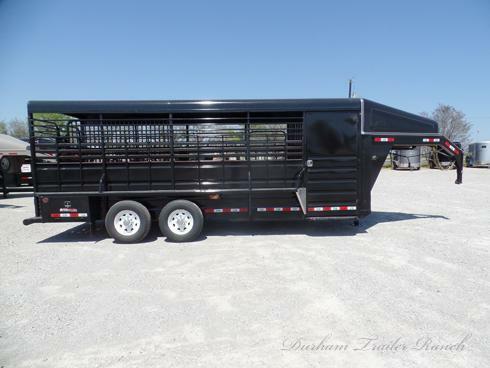 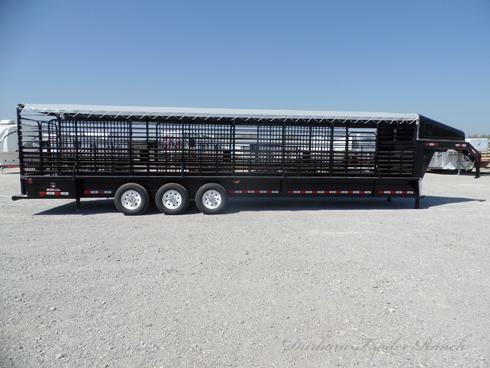 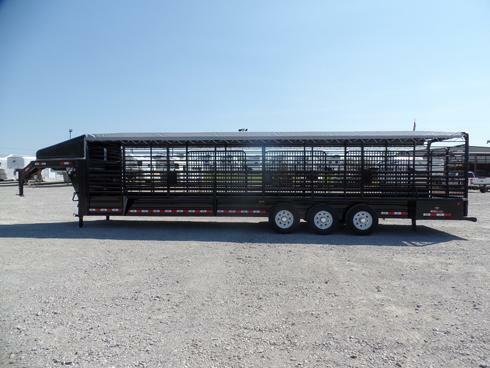 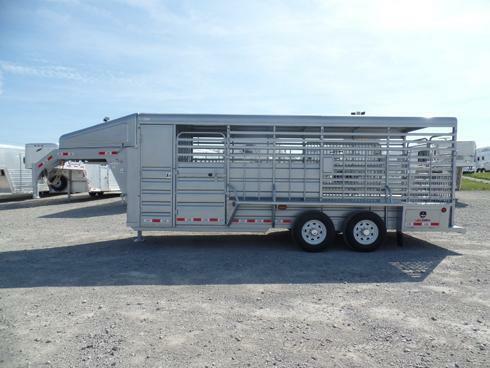 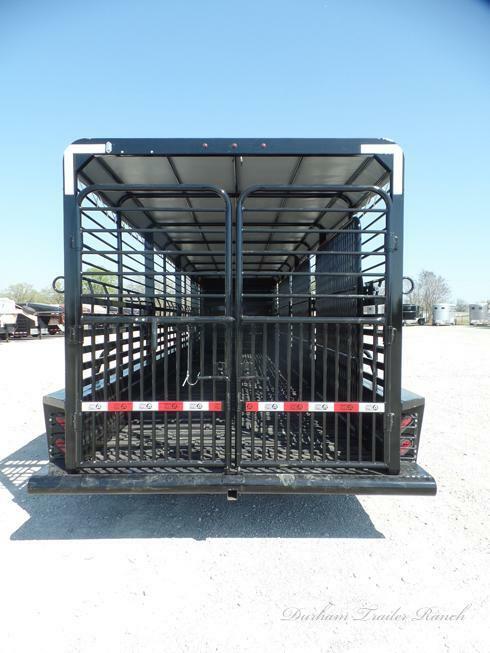 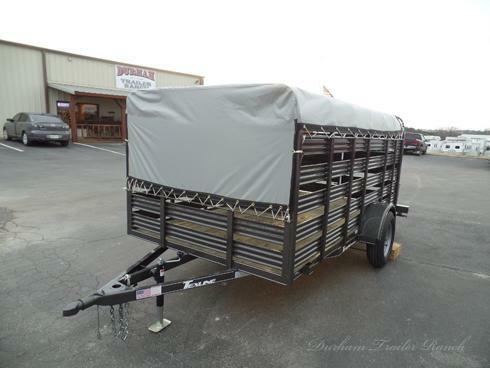 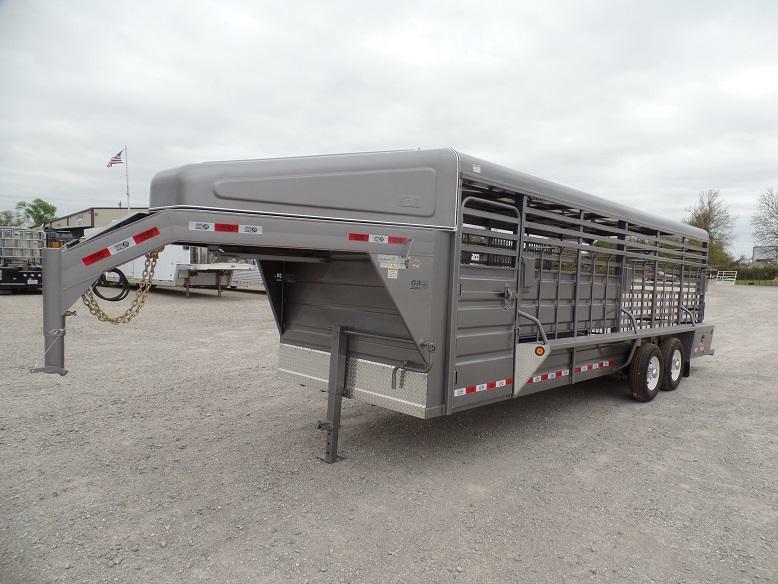 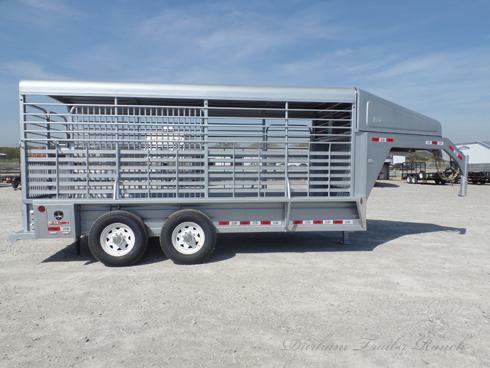 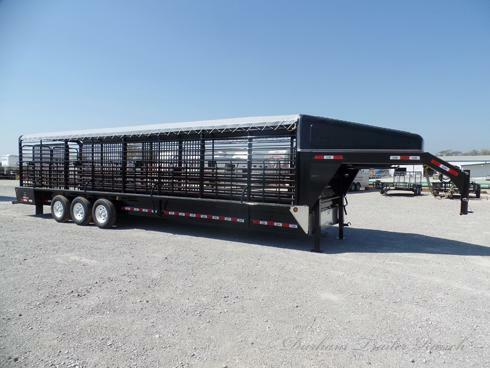 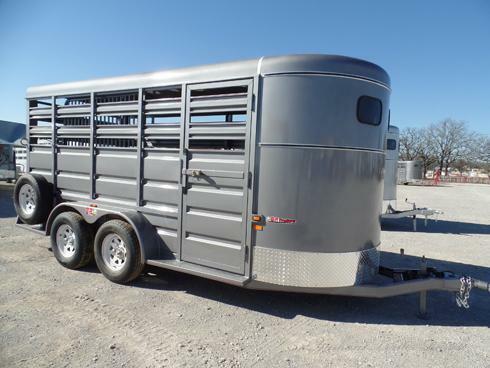 2019 32' Gooseneck Stock Trailer. 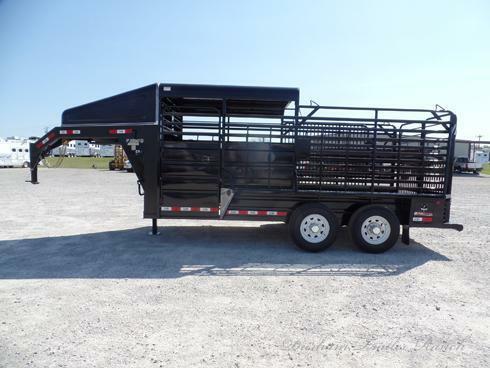 Black 1"x2" Tubing Sides with a Gray Tarp Roof. 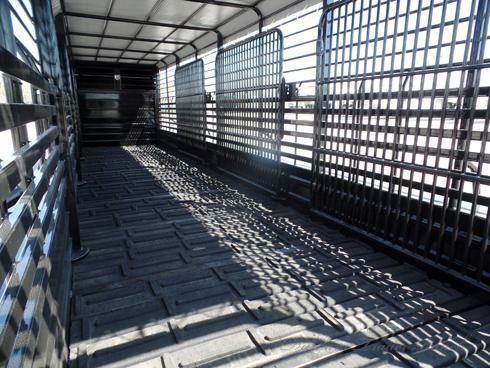 Butterfly Rear Gates with 3 Cuts Gates and Cleated Rubber Floor. 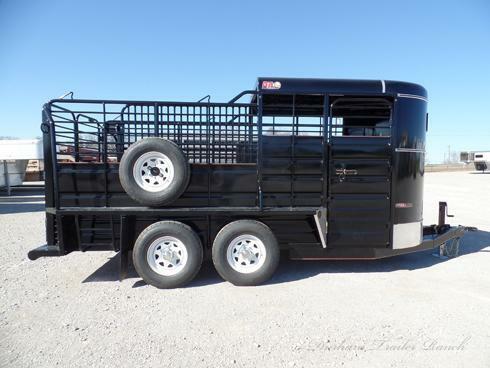 Triple 7K Torsion Brake Axles, Tool box in Fenders, and Front Escape Door.